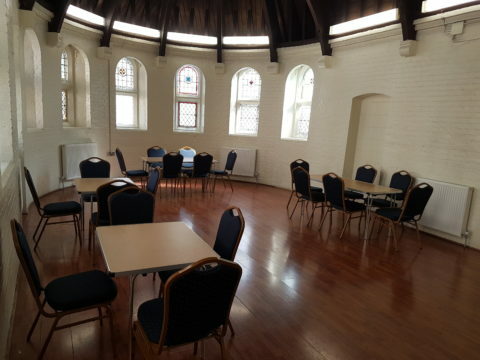 The Small Hall has a tall arched wooden beamed ceiling. It is on the 2nd floor and there is no lift. The flooring is wooden laminate. 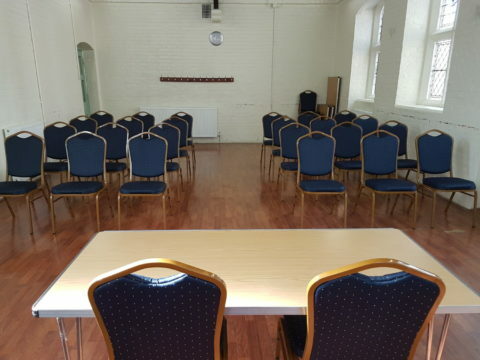 Chairs and Tables can be provided if requested at time of booking.